It's the photo seen 'round the world. It seems simple enough: A woman in an office, filling out forms. 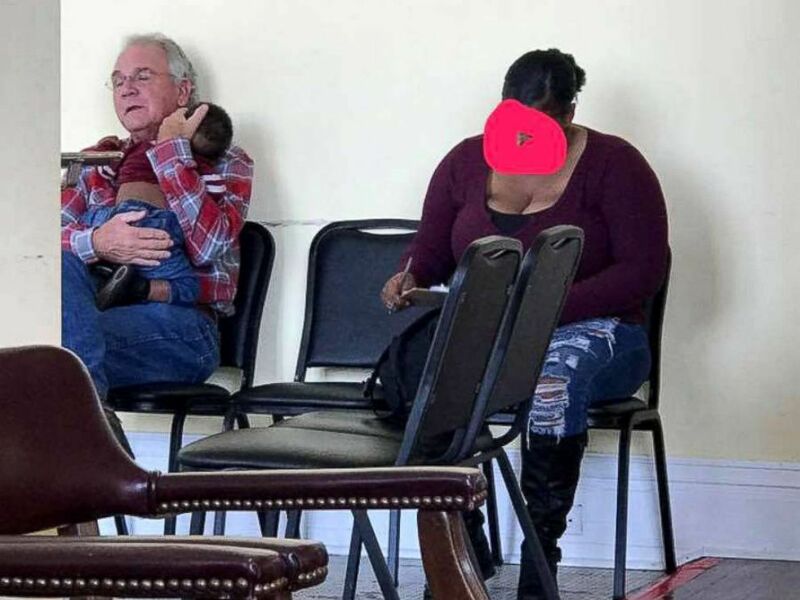 A man, sitting next to her, holds her baby while she does so. But for some reason, this seemingly simple photo has touched people everywhere. It's been shared almost half a million times on Facebook in just a few short days. A photo of a man holding a sleeping baby while the mother fills out forms has gone viral. Natasha Wilson of Florence, Alabama, was the person who snapped the now-viral shot. She originally covered up the woman's face in the photo because Wilson didn't know her. "I was sitting in the waiting room at the doctor's office, a lady walked in with a sleeping baby on her shoulder," Wilson told "Good Morning America." The woman, Wilson said, was trying to figure out how to hold the baby and do the paperwork at the same time. West said while it's OK for people to think differently, it's important we take care of one another. "I want people to know that, yes, everyone is different; yes, we all have our own opinions and ways of doing things. But when you come across a person with a genuine spirit of caring like the one that I encountered that day, all judgments and prejudices are immediately departed from," she said. "I just hope people can see this and realize that we can all come together," Wilson said. "Regardless of skin color, we are all just human and can love one another! I truly believe that if each one of us do our part and teach our children that color doesn't exist, our next generation could be colorblind."